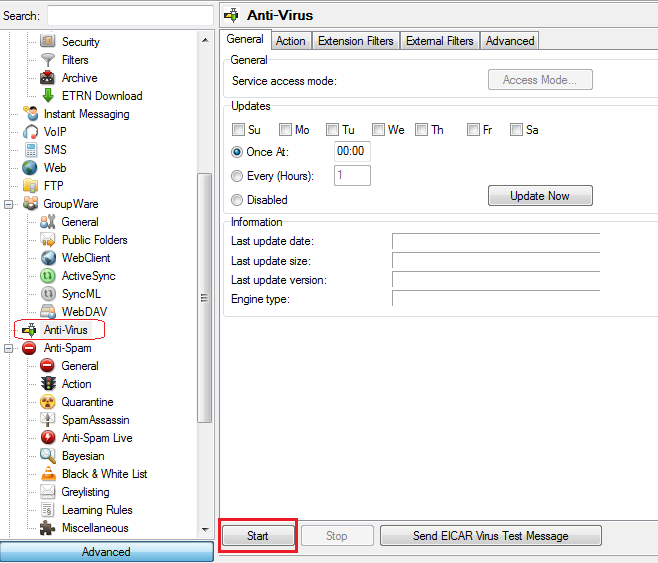 From Version 5 Icewarp Email Server an integrated, multi-threaded AntiVirus engine with automated virus base and engine updates. To enable it, you need to press Start button in Anti-Virus node of the Administration Console. 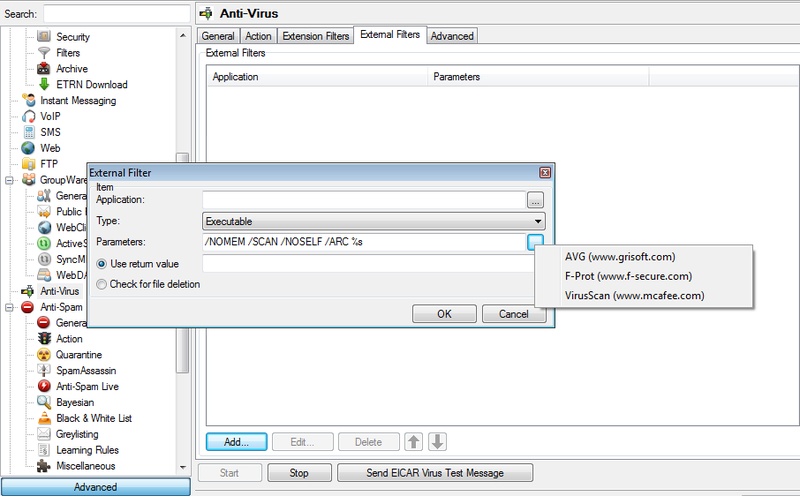 However, the older technology which is based on an External Antivirus scanner is still supported. For If you click on the blank button next to the Parameters field and choose the appropriate Antivirus, the pre-defined parameters will be filled automatically. 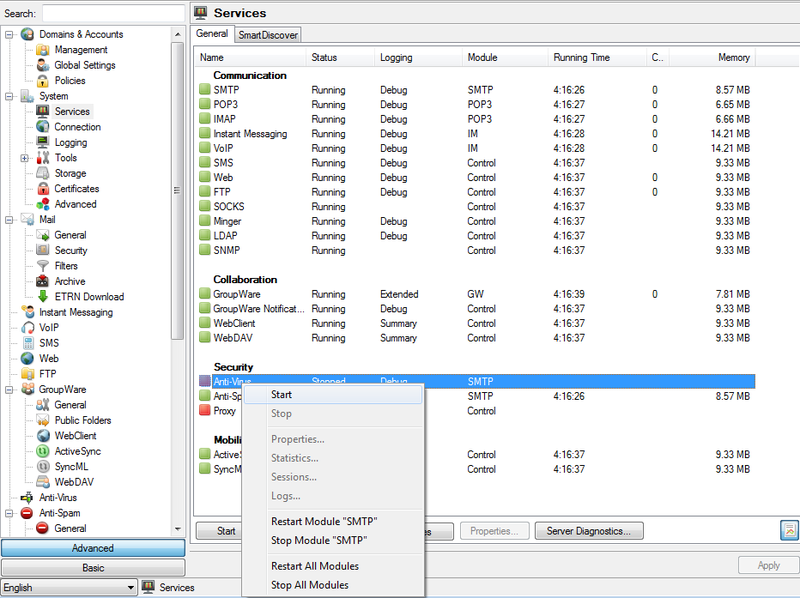 How do I set up the Mirapoint appliance for SNMP access?